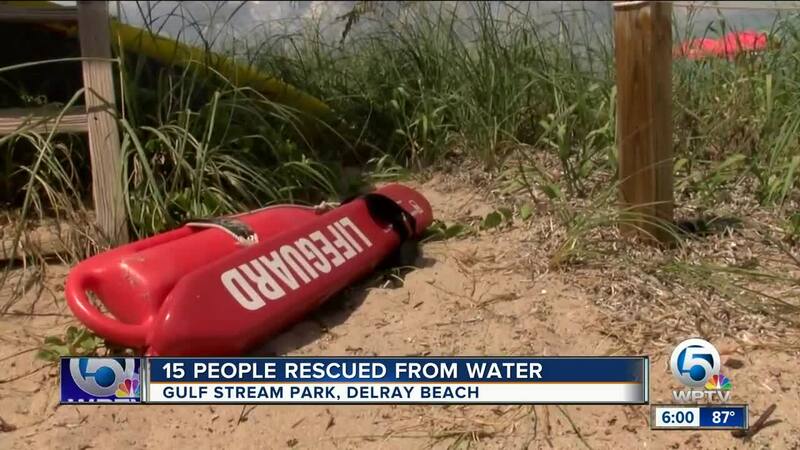 Several people were rescued from Gulf Steam Park Beach on Sunday afternoon as rip currents caused dangerous conditions for swimmers. Lifeguards at the beach told WPTV 15 people were on the sandbar when a rip current came through, causing many to get swept out in the ocean. 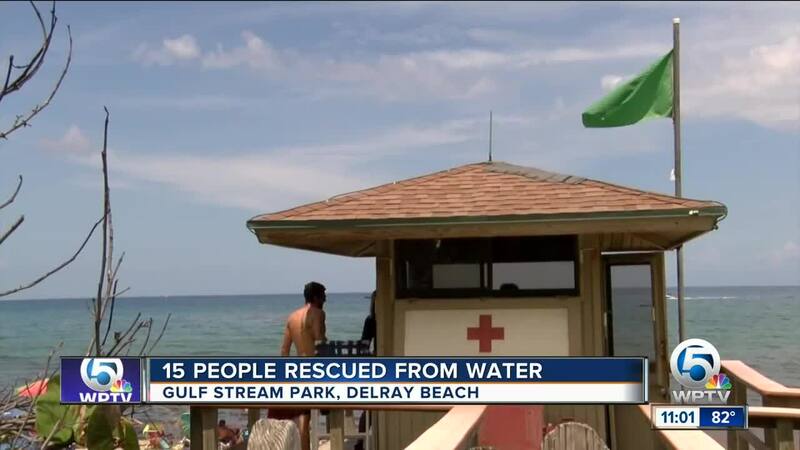 Several agencies in the area responded to the beach a little after 2 p.m.
Lifeguards and first responders rescued five children from the water. One woman watched the scene unfold on the beach. She says other beachgoers started to join in on the rescue efforts once they realized children were out struggling in the water. "I've never seen it so bad so many people having to jump in and so many people almost drowning at the same time," Elizabeth Boynton said. "I'm born and raised here so I'm a little shocked about the whole thing." All five children were taken to the hospital with non-life threatening injuries.